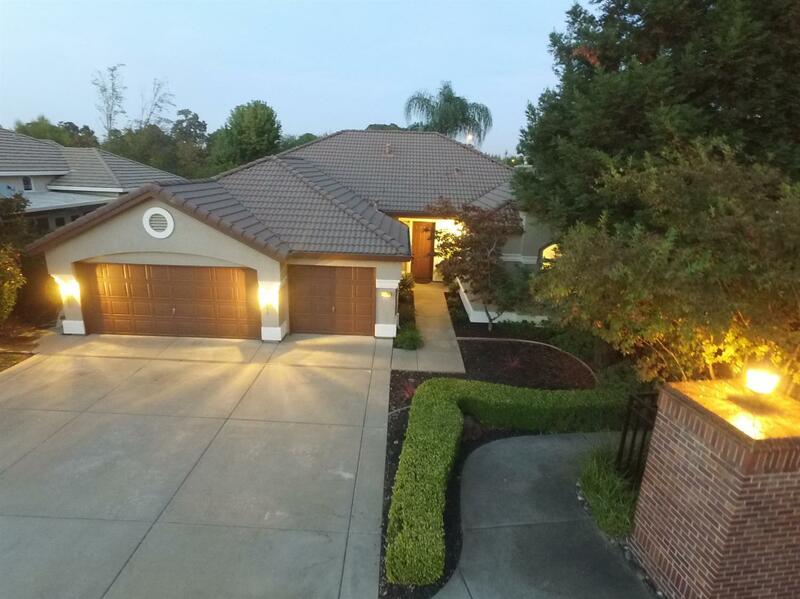 Gracious single level home in desirable Woodcreek Oaks Gated Community. You'll immediately appreciate the 10 ft ceilings & spacious rooms. Gourmet Chef's Kitchen w/ SS GE Profile Appliances. Updated flooring & custom light fixtures will appeal to discriminating buyers. Great room concept plus separate living & formal dining rooms. Double doors lead into home office/den. The Private master suite has access to big backyard w/raised patio & rm for a pool.Conveniently located close to the gates.